As much as I try, I'm still a total beginner when it comes to setting a beautiful table. That's why I think it's best to leave that sort of thing to the professionals... at least until I can up my game! To help me out, the ladies of J+G Design are back with some ways to create a fall table setting that will be perfect for your upcoming Thanksgiving dinner. Hello! 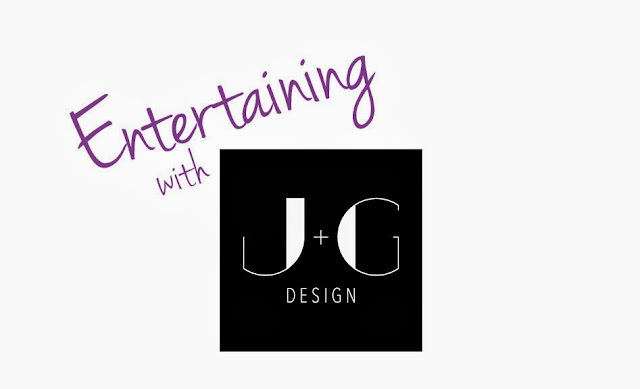 It's Jennifer and Georgie from J+G Design, and we're excited to share with you some of our table styling tips for fall. 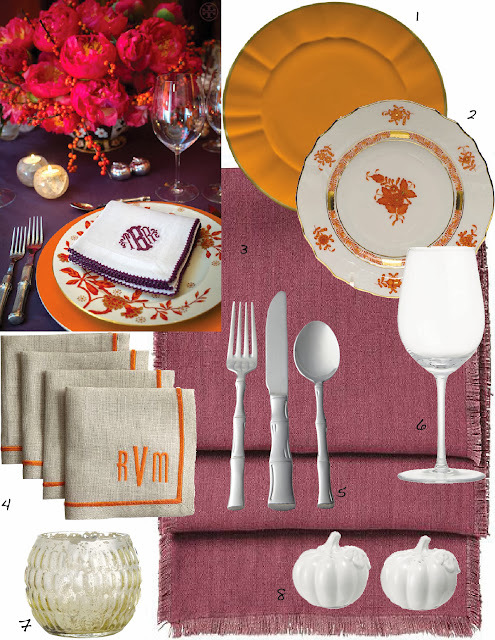 We've created an autumn-themed table setting in preparation for the Thanksgiving holiday - our personal favorite! Hues of purple and burgundy are big for this fall and are complemented perfectly by pops of fuchsia and orange. Don't be afraid to mix family heirlooms with more contemporary items to make your setting personal and interesting. Reflective elements like mercury glass votives add warmth and ambiance to your gathering. And the perfect recipe match for this fall-infused table setting? Without a doubt, Michelle's Apple Chestnut Stuffing recipe! We hope you all have a Happy Thanksgiving!